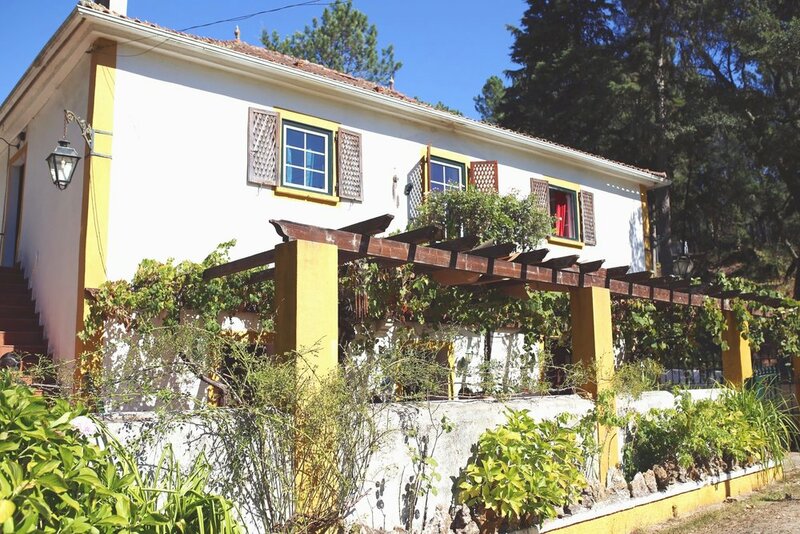 The venue, an old Quinta set in a national park and is endowed with beautiful fruit trees, giant oak corks, grape vines, vistas and a stream at the end of the garden where we often encounter our neighbours; deer and wild boar. At night we hear the howl of the wolves from the Iberian Wolf Sanctuary next door and the hoots of wise owls who keep close. Within a 15 minute drive we reach the beach, see the fierce waves of the Atlantic coast and the charming surf town, Ericeira. Only half an hour from Lisbon and the airport, we are in an ideal location for Lisbon connections. Our farm is the perfect venue for hosting groups, quiet and secluded. Our Garden Shala is a beautiful converted glass Victorian Greenhouse, a great workshop space. The Garden Shala is included with the venue hire for groups staying with us or can be booked for day workshops at a day rate plus cleaning fee. The Shala includes 20 Meditation Chairs, Yoga Mats, Straps, Blocks and bolsters. White boards can be available for free on request and we have projector available for hire. Our Garden Shala warms up at 11am in Summer, so it is ideal for early morning sessions and evening sessions.